* J.D. Candidate, 2018, University of Richmond School of Law; B.A., 2015, Syracuse University. 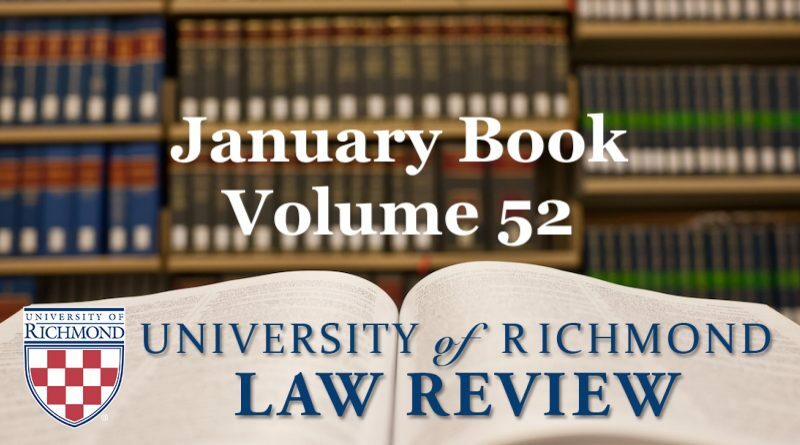 I would like to first thank the University of Richmond Law Review staff and editors for all of their hard work in preparing this comment for publication. I would also like to thank Professor Ronald Bacigal for giving me the opportunity to write this comment and for all of his encouragement during the process. Finally, I would like to thank my parents and my sister for always inspiring me to do my best.